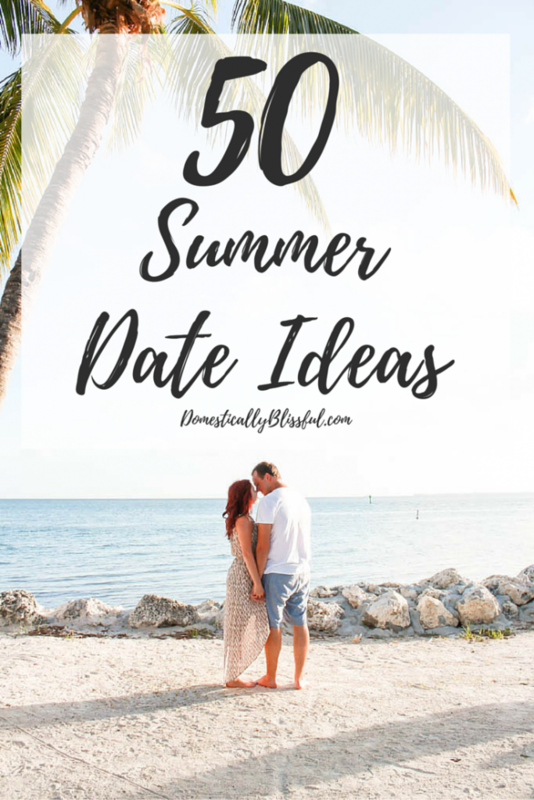 50 Summer Date Ideas to create summer lovin’ memories all season long! Eek! Summer is almost here! This is going to be one of the most exciting & scary summer’s of our marriage. Yesterday Roger graduated dental school, we will be moving back to Tennessee in less than 2 weeks, closing on our first house soon after, & then Roger will be starting is first job as a dentist. 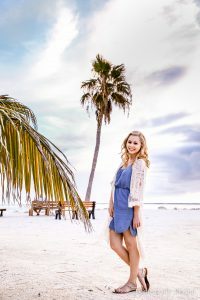 But in the midst of all of these big life changes we want to make sure that we keep our marriage a priority, so I’ve come up with this little list of 50 Summer Date Ideas to help kindle the love in our marriage. But if summer isn’t your favorite season, here are some more date ideas for Fall, Christmas, Winter, Valentine’s Day, & Spring! I will admit fall is my favorite season, but I do love summer lovin’ & I plan on enjoying every last minute since this will be the most uninterrupted time I get with Roger until he retires. And since he just finished school that will be a little while. 1. Drive to a drive-in movie. 2. Make this summer a waterpark summer! See how many waterparks you can visit in one summer together & rank your top 5 so you will always know which ones to go back to next summer! 3. Go blueberry, raspberry, or blackberry picking. 4. Go on a paddle boarding or kayaking date. 5. Pretend to be a tourist in your hometown & get to know your city better than ever! Grab a tourist map, park your car downtown, & go exploring! 6. Visit or hike to the highest point in your state in order to find the coolest temperatures. 7. Go to a movie in the park event in your nearest city. 8. Spend a day building something together for your home. A bird feeder, windowsill planter, coffee table, wooden keepsake box (for your love letters), or a side table. 9. Grab your camera & go exploring for the perfect shot that encapsulates summer. 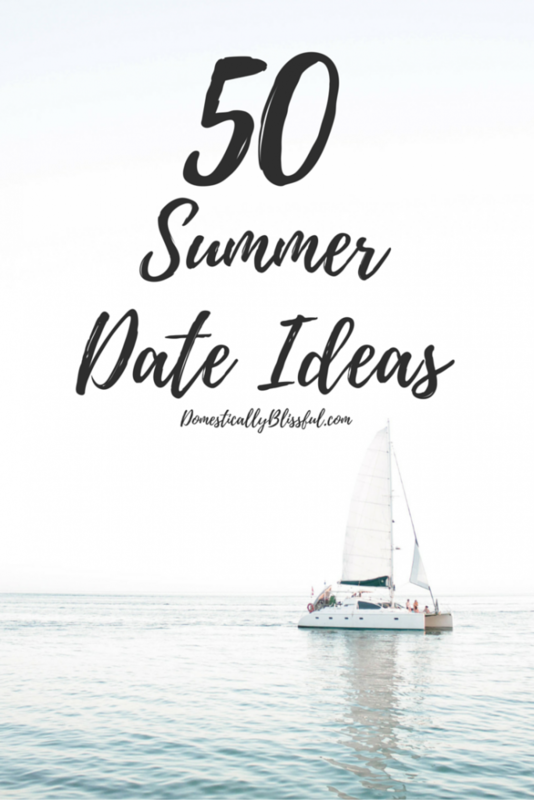 Get all 50 Summer Date Ideas & download your own free printable checklist below! Success! Now check your email to confirm your subscription & get to get your free printable copy of the 50 Summer Date Ideas Checklist. And don’t forget to add Domestically Blissful to your email list so you don’t miss a bit of bliss! I’d love to hear about the best summer date you have ever had! through knowledge its rooms are filled with rare & beautiful treasures.